Movin’ Melvin” Brown is truly a Renaissance man. He is a wonderful singer, dancer, writer, philosopher and man of peace. His energy and his spirit light up any room. He has devoted his life to sharing his joy with the world. Music, Dance, Comedy and Magic. Movin’ Melvin is a real crowd pleaser. When you want to get the audience involved, call Movin’ Melvin Brown! His energetic performances include audience participation and are guaranteed to please! 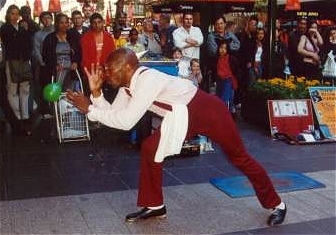 Movin’ Melvin has been called “The Dance Man” because of his innovative style of dancing. 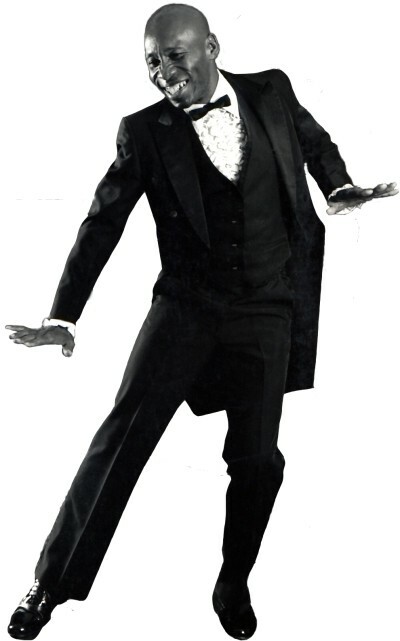 He has combined the styles of many of the masters including: Fred Astaire, Sammy Davis, Bojangles, Gene Kelly, Gregory Hines and the Nicholas Brothers, to create a high energy show of tap dancing, juke dancing, clogging, swing, and contemporary dance. Contact us today for booking information.